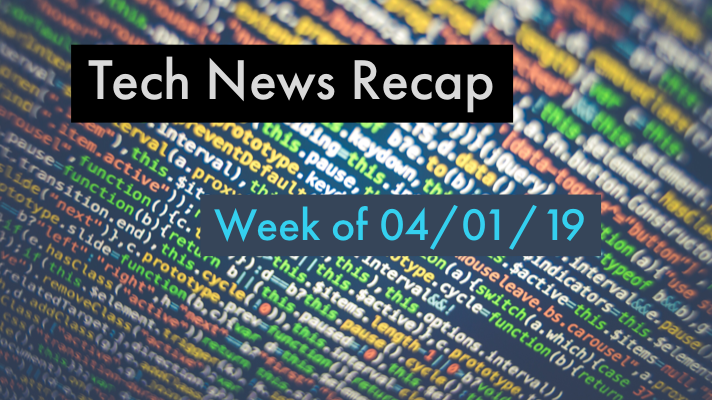 If you had a busy week in the office and need to catch up, here’s our recap of tech articles you may have missed the week of 04/01/19! Software glitch grounds Delta, Southwest, and United flights. Microsoft is making big Windows 10 update changes starting with the May 2019 release. VMware firewall takes aim at defending apps in data center, cloud and more top news this week you may have missed! Remember, to stay up-to-date on the latest tech news throughout the week, follow @GreenPagesIT on Twitter. Should you go for a hybrid cloud solution right now? Cybersecurity is in shambles: Who's to blame? Thanks for checking out our tech news recap! Apr 12, 2019 In "Tech News Recap", "Miscellaneous IT", "Tech News"
Mar 29, 2019 In "Tech News Recap", "Miscellaneous IT", "Tech News"
Mar 15, 2019 In "Tech News Recap", "Miscellaneous IT", "Tech News"